Music, more than scent or sight, more than memory itself, leaves its traces in manifold places, often in surprising ways. It is latent, it dwells in the dust on walls, in the fingerprints that slowly lift from the travails of daily life. As an object, but also not an object, to be felt if not touched, it has a unique capacity to scar, to bludgeon, to caress, to assuage, to unleash floods the ramifications of which stretch far beyond the mere notes or lyrics in question. It is a stimulant, a force that proves all-encompassing, a tool to accompany the best and worst extremes of our allotted years of insignificance. Last year I found, rather by chance, the work of the British group Tindersticks, for which thanks to you, Claire Denis. The discovery, admittedly quite belated in nature, since this bailiwick of the musical spectrum is not mine, coincided with the final illness of my mother and a necessary grappling not only with the divide of time and space, but also with the inevitability of progress and transformation if not transfiguration. Experience flows in a unitary direction; music allows a detour, here and there, a chance to respire differently. There was likely not a day back in mid-May when Cherry Blossoms was not on my mind; even now it is a rare day when its refrains will not haunt my steps. Music as a balm, laced with much more than the weight of its usual essence, is a lethal weapon. For the most arduous passages of this existence, its presence is mandatory. The music chosen, or imposed, may not always stand up well in retrospect, its purpose having been served, its momentary ascendance now a heap of melted wax. Kindling never sets itself aflame. This case is different: The piano straight out of Eastern-European despondency, later taking on the sonority of a toy piano; the cello drowned in haze and seemingly ready to collapse at any moment; the overlapping and incomparable voices of Stuart A. Staples, maybe in dialogue, maybe in different strata of temporality, maybe merely posing alternatives to incarnations of reality; the ineffable sorrow of “you let me forget again” somehow providing a delight greater than any solace could be; the resonances of supreme tenderness, a music box manqué of menace as much as comfort. 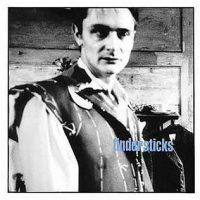 Nestled near the end of Tindersticks’ second self-titled album, Cherry Blossoms is not an obvious extract nor is it a flawless fit with the rest of this group-centered double album. Its simplicity, real or apparent, belies its brilliance. It is an isle of chamber music, four minutes of stunning intimacy, a repose from bigger and often grander statements. Death is not about a crossing or of any movement in senses literal or metaphorical; no one goes anywhere, indeed: It is a process unknown to whoever it claims and its effects are purely internal on those who witness it. A cessation it is, true, but also a catalyst. Life is nil if not a baton race; I hold this talisman for now, and will be compelled to relinquish it soon enough. If I spend whatever time is granted me listening and writing, and dreaming, and learning and growing, and satisfying flesh and spirit alike, and occupying a few unsung corners of this revolving orb, then I honor in my own modest way the inspiration that I inherited from a provenance that none of us knows and that is a fragility capable of going dry at any moment, as I am acutely aware. Until then, I march onward, willingly or otherwise, and hope one day to write something other than another disappointment, something to reward the trust, optimism and emotional investment that various someones have spent on me. One is left to wonder what the intention of Cherry Blossoms was. All personal attachment aside, is it wistful? Meant to give an external voice to the countless internal lucubrations that those who toil with pen and paper, or their modern equivalents, know too well? A token of a muted optimism? More generally: What is the experience of listening to music if not a chance to reinvent oneself, to recall previous selves and to project future selves? To sidestep questions of what could have been or what is or what will be, to get lost in rêverie, to seethe, to agitate, to be other? There is peace here, but to find it would be to miss the point entirely.